I love to cook, but I’m not much of a baker. I make birthday cakes throughout the year, but that’s pretty much it. And those start with a box mix. BUT, Christmas time is a different story. It’s the one time of year I love to bake. Which is good, because I make so many scrumptious cookies and treats, we’d all be 20 pounds heavier if I did this more often. I have some old standbys that I make every year, many of which my late sister-in-law, who passed at the young age of 34, used to make for the whole family. So they’re a tribute to Sheree. Last year, though, I kind of hit a wall of boredom. And I realized it’s because almost every single thing I made consisted of chocolate and peanut butter. Now, don’t get me wrong. What better combination is there, right? Chocolate and peanut butter wins in my household every.single.time. So this year I’m on the lookout for new recipes that aren’t just chocolate and peanut butter. 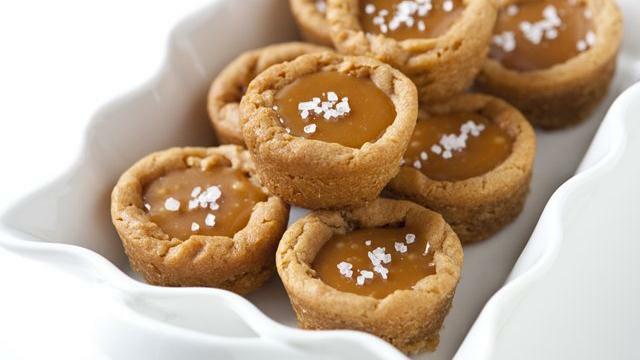 Apparently, caramel is also a fave in my house, so here are a couple yummies I think I’ll give a go this year, although I’ll start out with my own dough so I don’t feel like I’m cheating. That’s what the rest of the year is for. 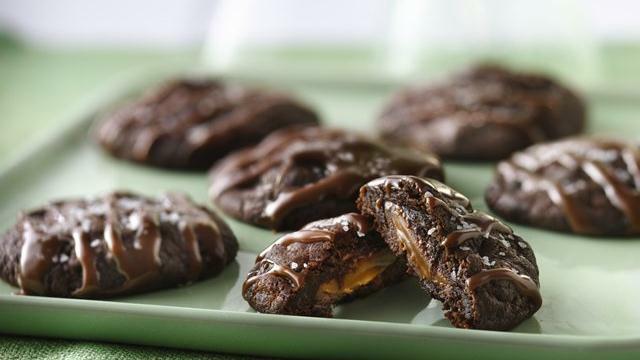 Hmm…still sticking with that chocolate and peanut butter trend, just adding in caramel, too. I’ll be making these (and will let you know how they are), but I’m still on the lookout for new ideas. I’m not much of a baker either. My first year with my husband and stepdaughter, I had this big plan to spend the day in the kitchen with my little one, making all kinds of cookies. Just like when I was a kid in the kitchen with my mom and sisters. Well, the Little One lost interest, and I ruined everything except the no-bake PB/chocolate bars (which are AMAZING). salted carmel ANYTHING is delish. and you’re making my mouth water at 10am for sweets! chocolate and PB is a classic combination. char said we’ll try to figure out a baking day tonight!!! I bake treats for Christmas that I remember my late grandmother making when I was a child. As an adult I missed all the trimmings she was responsible for and like to keep the family tradition going for my little ones. Oh my gosh I’m so hungry now! And those look so good! I love making anything with pumpkin in it. Cookies, bread, muffins, you name it. If I can put pumpkin in it, I do!